The front bumper of the S63 Coupe receives some added visual pizzazz with the BRABUS front spoiler lip and front bumper upper and lower elements. 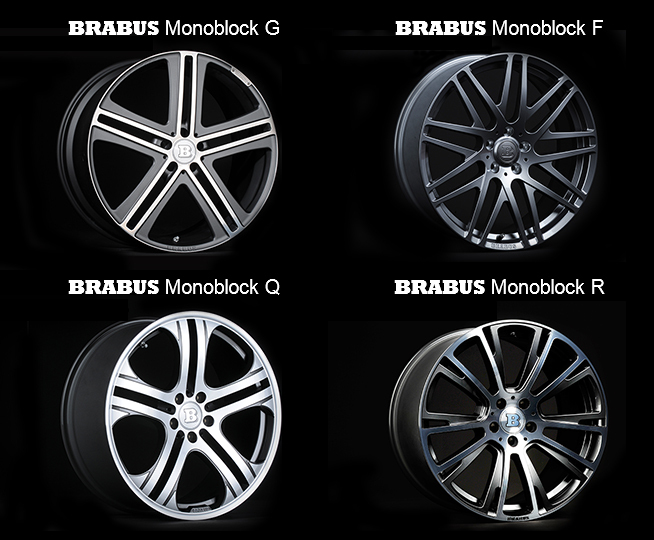 BRABUS carbon fiber aerodynamic enhancement components were optimized in the wind tunnel to reduce negative lift on the front axle, which also plays a part in the improved handling at high speeds. 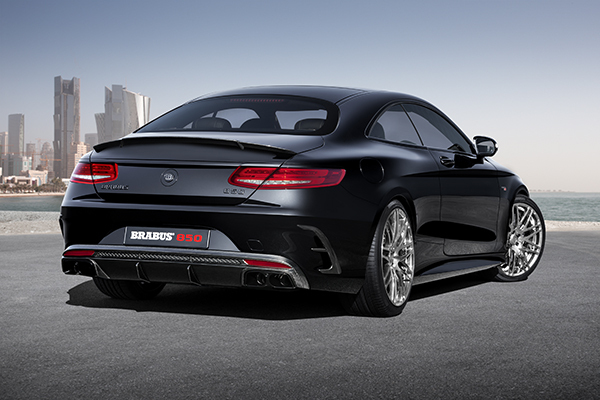 As the ideal complement to the performance kits, BRABUS offers a sport exhaust system with controlled butterfly valve for the S63 Coupe. At the push of a button on the steering wheel drivers can choose whether to operate the V8 in quiet mode or enjoy a markedly throaty exhaust note in the “Sport” position. 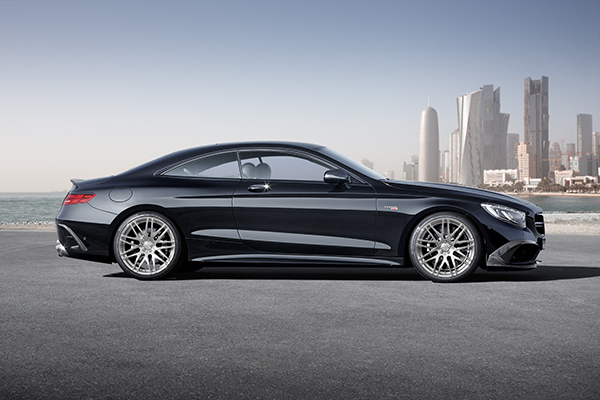 Another factor in the thrilling designer look for the Mercedes-Benz S-Coupe and in the even safer and more dynamic handling is constituted by the custom-tailored BRABUS Monoblock alloy wheels with diameters of 19, 20, 21, and 22 inches. 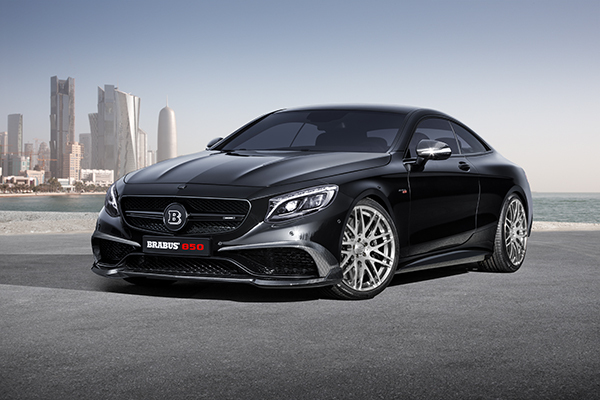 BRABUS offers three power upgrades for the S63 Coupe: The BRABUS B63 – 650 PowerXtra CGI performance kit boosts the power output to 650 hp. 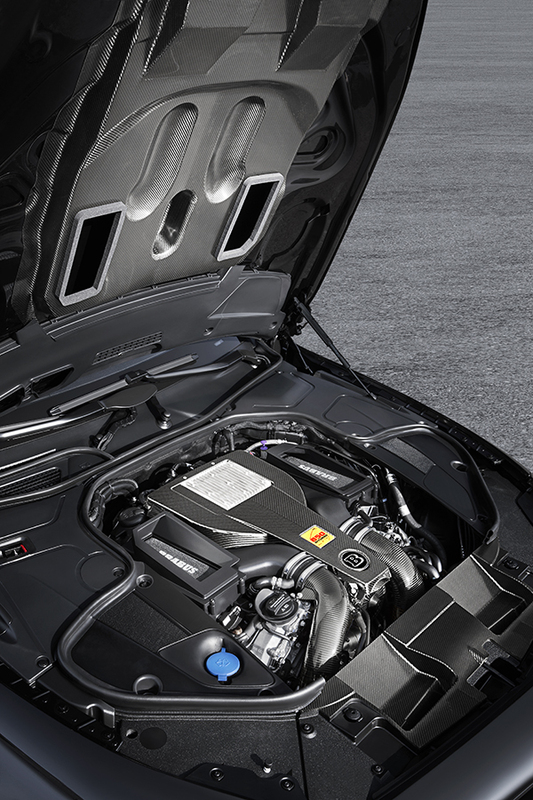 The BRABUS B63S – 730 with two special BRABUS turbos with larger compression unit generate a higher boost pressure. 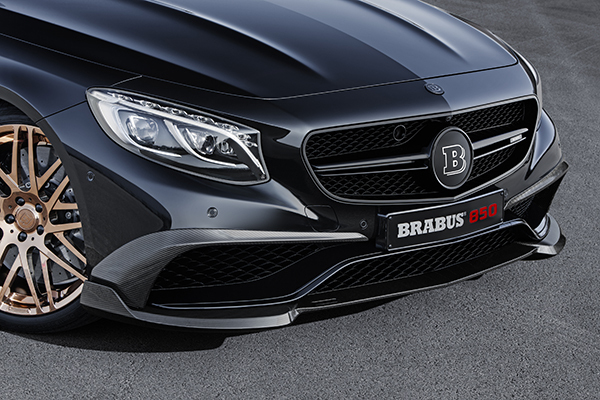 The BRABUS 850 6.0L, the most powerful option, with an increased displacement engine, delivers a whopping 850 horspower and 1,069 lb-ft torque. With precision and craftsmanship, BRABUS upholsterers can transform any interior into a class of its own. The sweeping lines of the design of the seat upholstery, door panels, and dashboard underscore the sport and elegant nature of the S63 coupe.